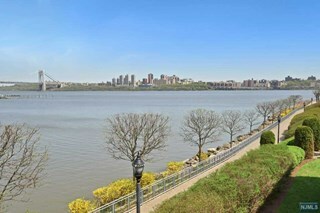 In 2000, the small distinctive enclave of Hudson Cove was developed consisting of 36 unit luxury townhouse complex is situated directly along the Hudson River towards the norther end of Edgewater. The bricked residences are between 2,758 and 3,275 square feet, some directly on the Hudson River with magnificent views of New York City. The gated community abuts the Hudson River Walkway, and is noted for its very classical style of architecture, with cobbled streets, period lighting all in a very stylish Early Americana style and design. At the end of the complex sits a private community pool. The complex shares a 24-hour gatehouse with Hudson Harbour and Shelter Bay. Residences (including the land beneath each and the roof) are owned fee-simple, the same as if they were single-family homes. There is a homeowners association with maintenance paid towards the common elements. 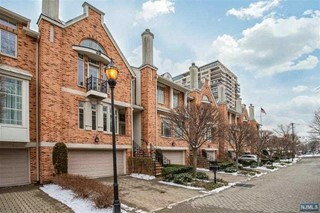 The development of Hudson Cove was the first foray into high end luxury townhomes in the Edgewater market. It was a gamble that worked and soon the success of Hudson Cove, Vela and The Moorings followed offering even higher end single family townhomes at even higher prices. That trend has continued in Edgewater and throughout the Gold Coast Waterfront as developers recognize the valuable asset of the land along the waterfront and have continued to attract young professionals from the New York City marketplace. The classical, yet modern designed townhomes feature 3 levels of sophisticated living space, The 3-bedroom/2.5 bath units have beautiful interiors featuring sunken living rooms, 9’ ceilings wood-burning fireplaces, oversized eat-in kitchen with state of the art appliances, granite counters, hardwood flooring and trim, a huge Master Bedroom Suite with vaulted ceilings and large walk-in closets and an oversized bath with jetted tubs. Two-zone heating and air conditioning, a lower level large den and family room with a walk-out patio, balconies and a 2-car garage to complete some of the finest homes in Edgewater. Just outside the complex is the #158 bus, taking you to The Port Authority in about 30 - 45 minutes. Free shuttle service is provided by Edgewater to the Edgewater Ferry at the Marina. 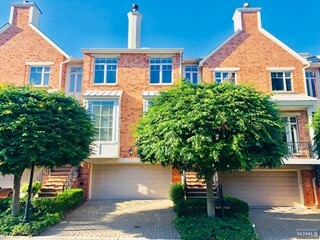 The complex is located across from the new George Washington School and some of the finest restaurants in the town including The River Palm and Le Jardin. All major highways, The George Washington Bridge are less than 1 mile north of the complex and the major shopping areas within Edgewater are with 1 to 3 miles south of the complex. There is a 24-hour gate house, and a small pool for community residents. Exterior landscaping is responsibility of the association.